You must be of Legal Drinking Age in your place of residence to Enter this site. Distilled from winter wheat grown in France, Le Grand Saint Sparkling Vodka adheres to the traditions of the finest French sparkling wine, while incorporating distinctive filtration and distillation techniques that give it a signature effervescent quality. Complementing the flavor profile, the bottle delivers a luxurious presentation in a corked champagne style bottle with gold foil trim. 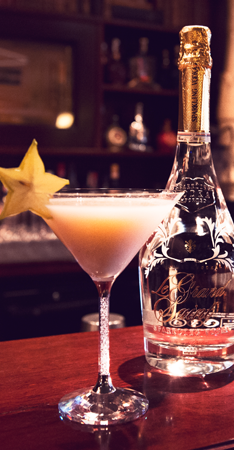 Le Grand Saint Rosé Sparkling Vodka is made exclusively from natural ingredients. It has a distinct character of black-currant, raspberry and French vanilla. Le Grand Saint Rosé is a celebratory drink. 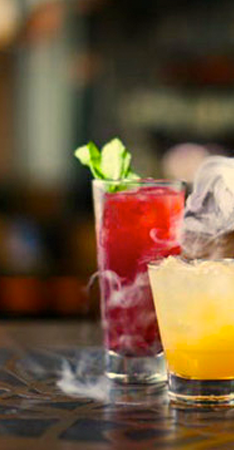 It is consumed by those who enjoy luxury with a party-filled twist. Le Grand Saint and the Provisioner. 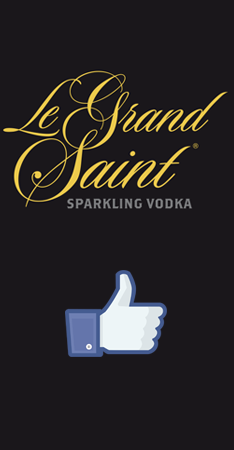 Le Grand Saint Sparkling Vodka is a unique new entry into the marketplace with the potential to revolutionize mixology and the bottle service experience. 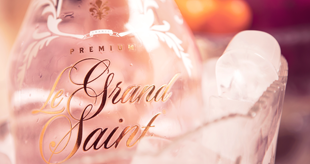 Le Grand Saint has proven to be not only an exquisite product, but a great brand to enhance guest experience in a new category of spirits.